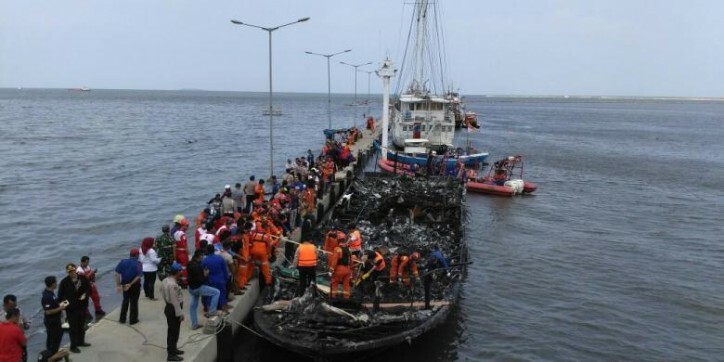 Twenty three people were killed and dozens injured on Sunday (Jan 1) after a fire ripped through a boat carrying nearly 250 people to islands north of the Indonesian capital Jakarta, the city's search and rescue agency said. "Thick smoke suddenly emerged, blanketing the cabin," said survivor Ardi who was being treated in a Jakarta hospital. 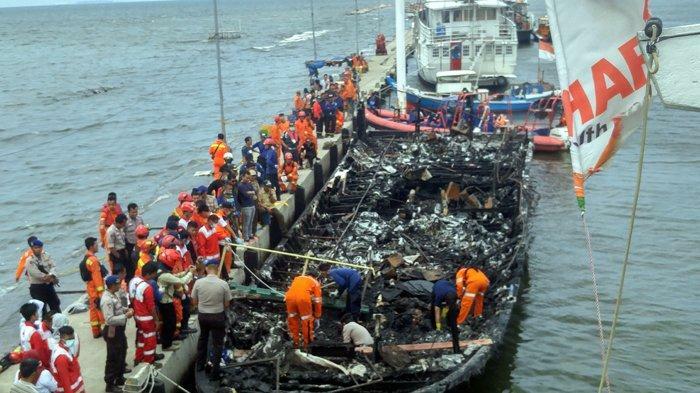 "All passengers panicked and ran up to the deck to throw floats into the water. 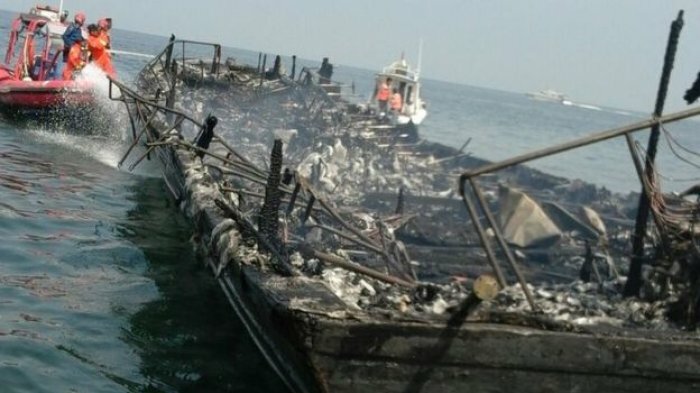 In a split second, the fire becomes bigger coming from where fuel is stored," said Ardi, who was on the boat with his son. The boat was towed back to port. Victims in body bags being removed from the badly charred ship. According to the head of Jakarta's search and rescue agency, Hendra Sudirman, 248 people were on board, more than double the previous estimate of 100, and out of more than 200 people rescued, 32 were being treated at hospitals in Jakarta.